Looking for a fun writing activity that integrates well with Valentine's Day? Then look no further than Vulture Verses: Love Poems for the Unloved. This book is a funny and fact-filled collection of "friendship notes" written to some of the most unlovable creatures one could imagine. Through her poems and accompanying facts, author Diane Lang helps us see that even bats, turkey vultures, spiders, skunks, and mosquitoes (to name but a few of the animal dignitaries) deserve some love. Recycling is your secret task. And make them part of growing soil. Flies are specialists at eating things that are dead and decaying, getting them ready to become part of new, healthy soil. Lovely paintings by Lauren Gallegos illustrate each animal at its most industrious, making even the most scream-worthy of the lot seem noble, or, at the very least, tolerable. The book closes with a request: "So many cards to write! So many animal friends! I may need some help. Do you know someone who is misunderstood? Will you help me write friendship notes, too?" Such a fantastic suggestion! Working in pairs or teams, students can research basic facts about other unloved animals that "scuttle, slither, buzz, and sting." Why are these creature seen as so horrible? What makes them worthy of our admiration? See if your students can write similar poems to change the loathsome to the lovable. 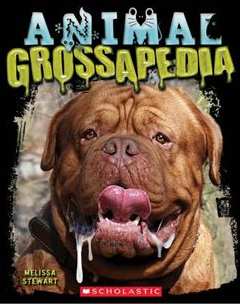 Picture books such as Melissa Stewart's marvelous Animal Grossapedia will provide ample information and inspiration for even the most reluctant writers. As an additional challenge, ask students to write the above poems in the first person, as if they are the animal. They must defend themselves to humans, and justify the "bad rap" which they've been given. Students could be further challenged to write these poems without naming themselves (the animal could be identified at poem's end or in the title alone). Students can then read the poems aloud, and classmates can guess the identity of the nefarious narrator. What role do these animals play in other stories, whether fables, myths, or folktales? With what traits have they been branded? 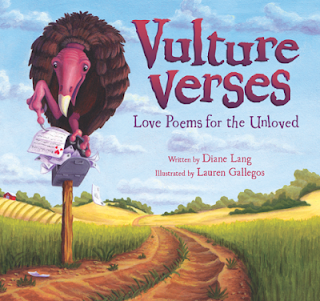 Have students create original fables using one of the creatures from Vulture Verses: Love Poems for the Unloved, or from their research project above. See my earlier post Animal Attractions for more ideas and suggested titles for fables. Diane Lang uses fantastic vocabulary in both her poems and follow-up facts. Discuss some of these words and challenge students to define them, using context clues alone. Why did the author choose these and not their simpler synonyms? If students completed any of the above activities, ask them to revisit their writing to substitute words that are more exacting and creative for those which are overused or ordinary. Do you have a favorite reading or writing activity to celebrate Valentine's Day? If so, please leave a comment below! And if you haven't entered yet, be sure to get in on the raffle for one of three animal picture books happening on this blog (scroll to the bottom of that page). 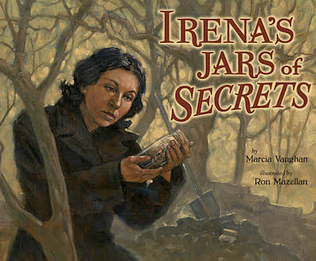 I love using picture books to teach. When my first girl was in preschool, we started using the before 5 in a row books to teach her. Then I sorta kept going with other books that we loved. By the time she was in school and taking AR tests, she was able to read those same picture books and score well on the tests. The confidence that she gained early on has helped her to become an exceptional reader now. I am doing the same thing with my second daughter..... this time using Piggie and Elephant.... thanks Mo Willems. My apologies, Billy! Guess I was just too excited to get started. Leave it to a teacher to not follow directions properly. Hey, Kathy! Guess we're on the same page with picture books. My wife is also a big Mo Willems fan. Thanks. Amber, for the follow and for passing along my site to teacher friends. So thoughtful on so many levels. Kudos.